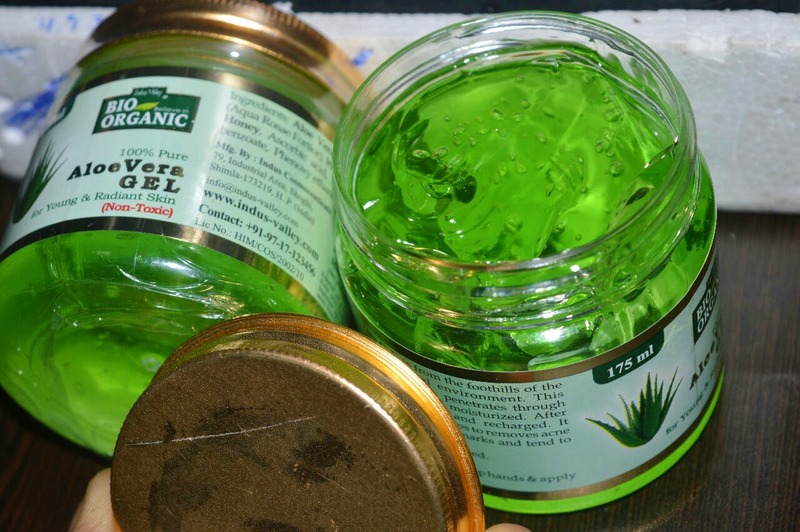 This aloe vera gel is one of the best aloe based products I have come across. It has a beautiful mild aroma that makes every application a really pleasant one. Made of pure aloe vera leaf juice, this gel has ingredients like wheatgerm rose water and honey which makes it the perfect friend for the skin. I use it daily as a morning and night cream and sometimes also as a primer base for my make up. Its non-toxic nature and pure texture make this gel a safe choice for soothing and hydrating the skin. Oh, and it's affordably priced and the quantity is quite good.